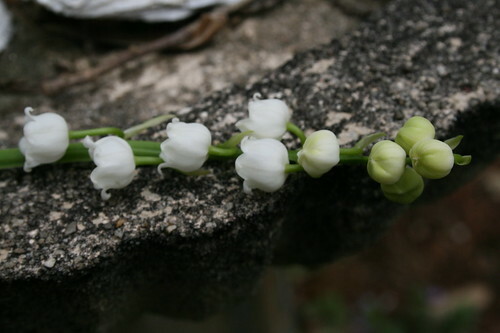 Lily of the valley branch, originally uploaded by DianthusMoon. Because of the warm weather, everything is coming up and blooming already! My Viburnum bush bloomed for one week and dropped the balls already. These Lily of the Valleys spread nicely in my fairy garden! I think Princess Kate carried a small bouquet of these today.